Home · Property Management · Financing : Successful Real Estate Investing: What’s Behind Door Number One? Successful Real Estate Investing: What’s Behind Door Number One? The advice I always give is that it doesn’t matter, just pick a niche and “own it”. I have talked with many people lured into flipping houses after all the “glam” on TV shows. You know, buy a house for $39,000, fix it for $20,000 and sell it in 7 days for $120,000 profit! (uh, right). What these people don’t realize is, this is a tough way to turn a profit if you don’t have the knowledge and/or the guts to hang in there. Flipping is not the right way for a lot of people. With so many different types of Real Estate Investments on the market, a new investor should find the niche in which they want to “specialize”. Once they find that niche, don’t be jumping all over the investment market. Stay focused to become successful in one niche to start. Your budget for re-hab What is your reserve for unexpected expenses? Can you cover holding costs if you cannot complete in your desired time frame? Can you complete the work yourself or will you need to hire professionals? Are you going to flip it or hold it? Is this a short term or long term investment? What is happening in your market? I am not trying to scare people away from real estate investing as a source of income or as a retirement plan. I just believe, they should do their research first. Don’t go in to the world of Real Estate Investing being blinded by all the TV “glam”! Mike Cathell, ePro Realtor is with Krise Commercial Group serving all of Lee County, Florida. Krise Commercial Group LLC offers big town knowledge and skills with small town customer service. 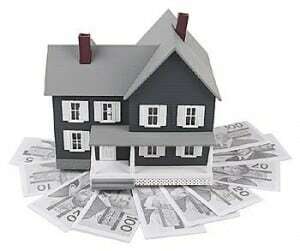 See more on Real Estate Financing.